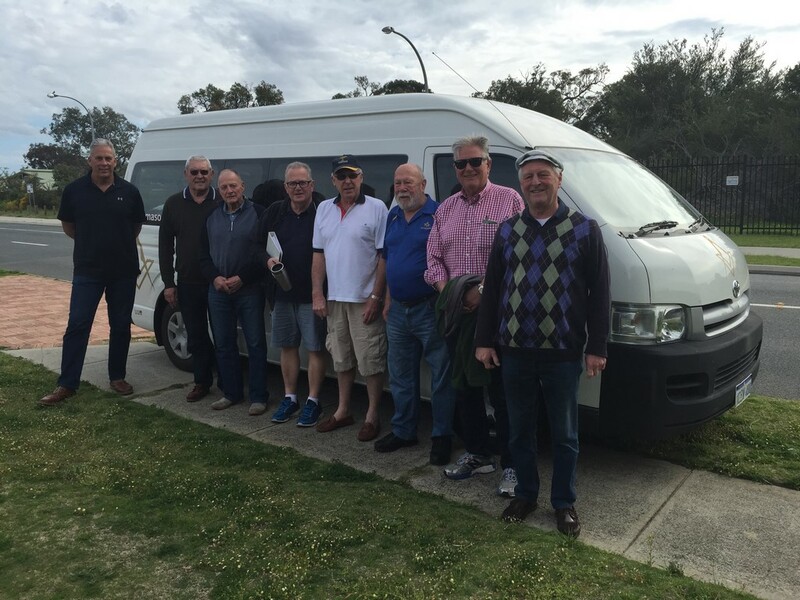 W ell – here we go again on our annual pilgrimage to The Capricorn Lodge at Mt Newman. All gathered at Lauder’s house on time and ready to depart in the Grand Lodge bus. 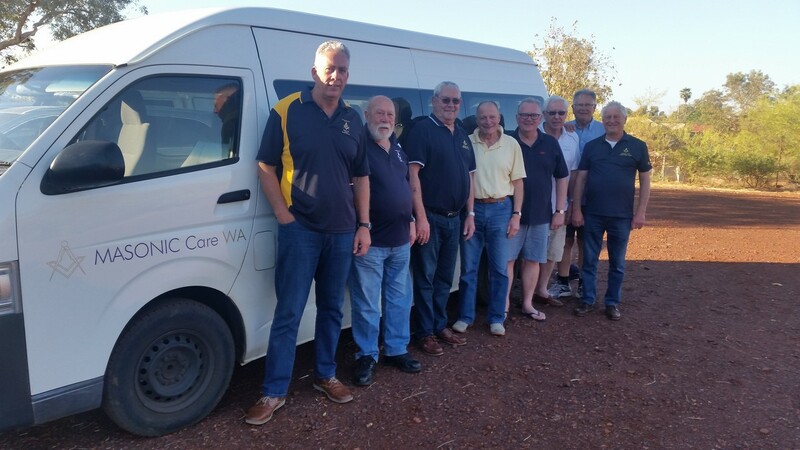 The group left at 9:45am on Thursday the 7th of September making good time for our overnight stay at the Meekatharra Motel. We all enjoyed a splendid meal in the restaurant followed by some good banter back in one of the rooms – all had a good nights sleep. 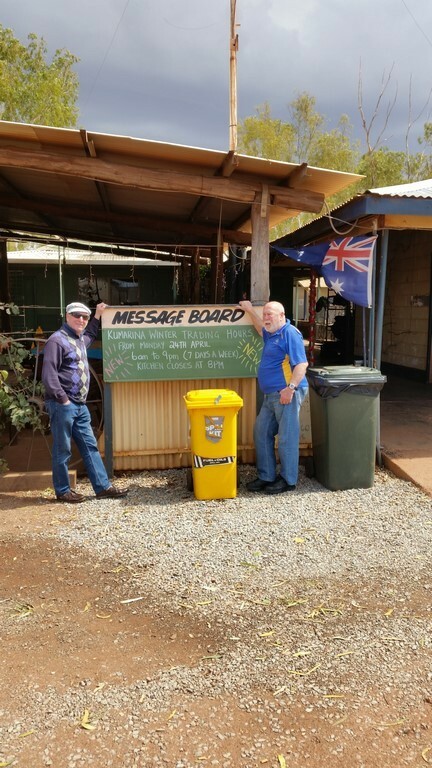 We departed Meeka at around 8:30am next morning after stopping at the local food van for egg and bacon rolls and coffee for breakfast – which are highly recommended. 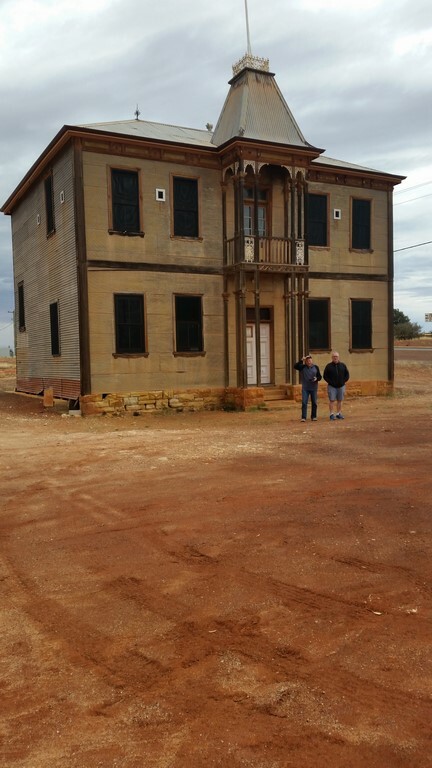 Cue Lodge (now abandoned) established 8th April 1899 as per the Foundation Stone laid in the NW Corner. We arrived Newman around 1:00pm on the Friday and booked into our accommodation at the SES dongas, where we all enjoyed a well deserved rest before the ceremony that evening. 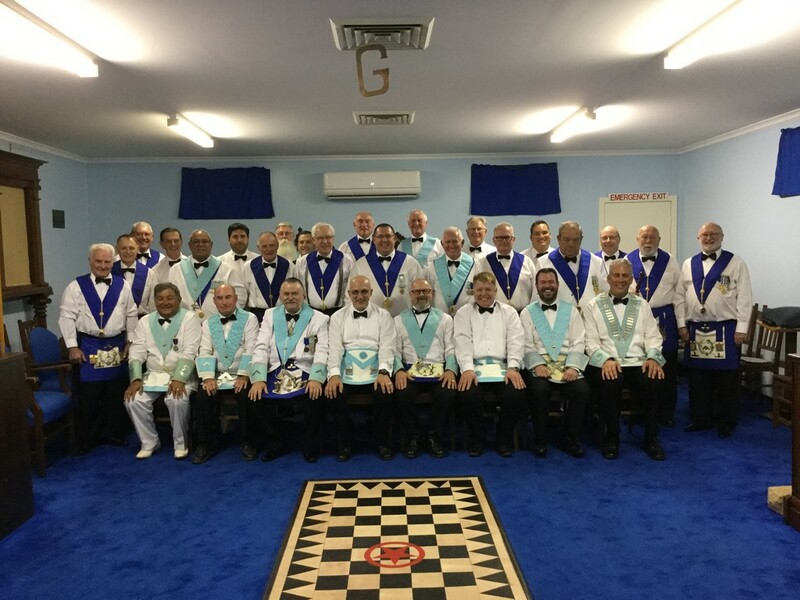 Bro Michael Hess & Bro Grant Berry were raised in a double 3rd Degree ceremony, with visiting Brethren from the touring party filling many of the positions for the ceremony. This was followed by a terrific night in the South where all enjoyed themselves. We all went back to our accommodation after the ceremony in good spirits and sat up for some time reflecting on such a grand day we all had. Saturday was a day getting prepared for the Installation of the WME Bro Adam Majid, plus some site seeing around the district. We all headed off for the Lodge rooms where the ceremony was due to begin at 1:30pm. 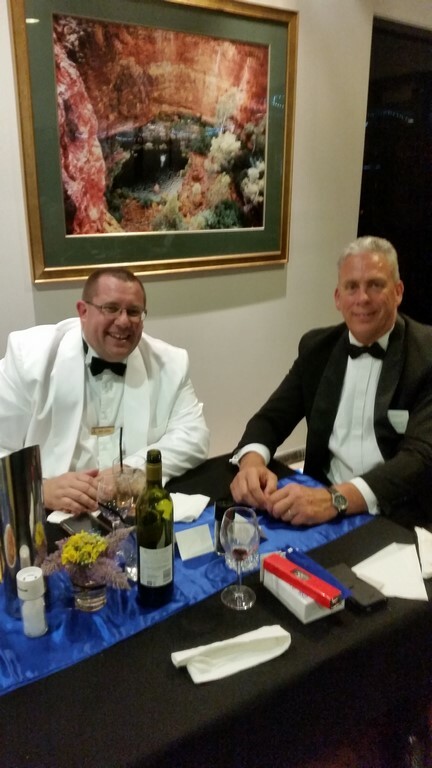 It went off like clockwork with everyone doing a great job, as did a short time in the South where speeches were made and some light refreshments were enjoyed before heading to the Sessions Hotel for a more formal evening. 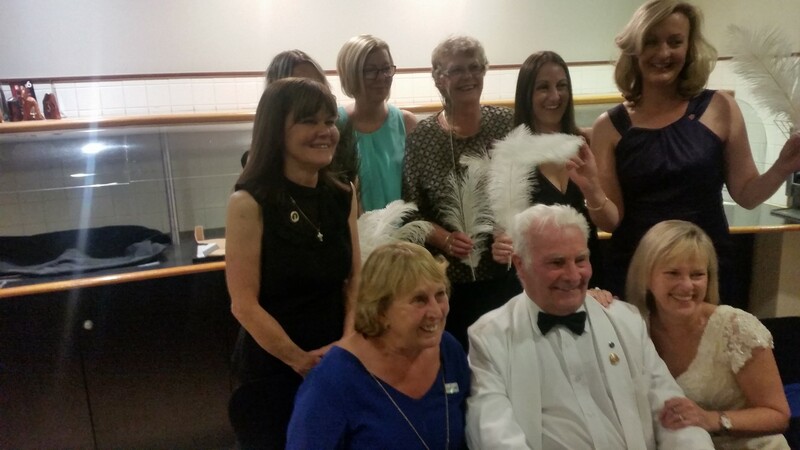 A fabulous night was had by all with the Hotel putting on a wonderful meal and refreshments. 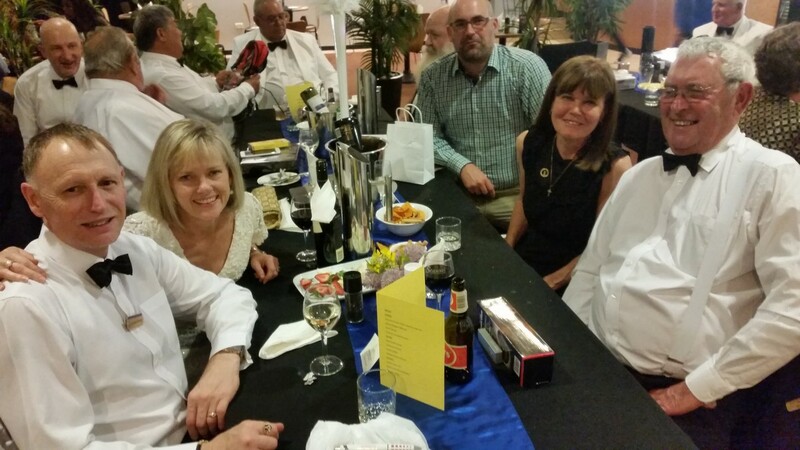 VW Bro Allen Cooper with his wife Debbie, Anita Grace and VW Bro Graeme Woods enjoying th evening especially the presents they won in the raffle. The night finished off as a resounding success, where the touring brethren again retired to their Dongas for a chat and reflection on a great night. 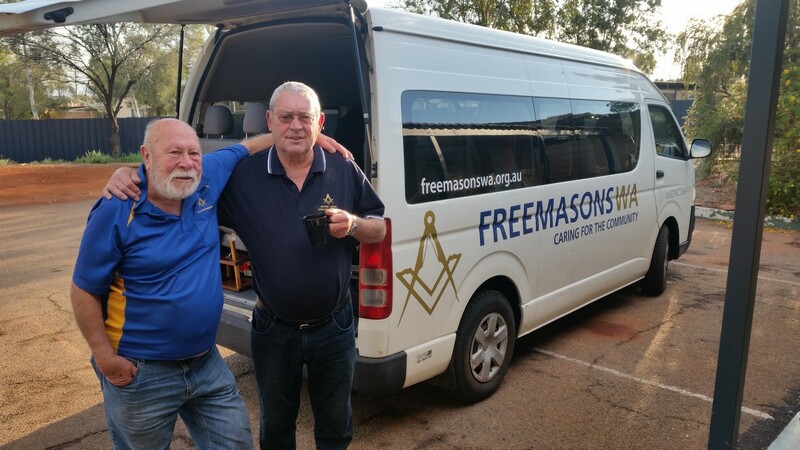 Next morning we were roused bright and early by Lauder, cleaned up, packed our bags and headed to the Lodge rooms for a BBQ breaky put on by the Capricorn Boys. We departed Newman around 7:30am arriving at Lauders at 8:00pm after an uneventful drive. 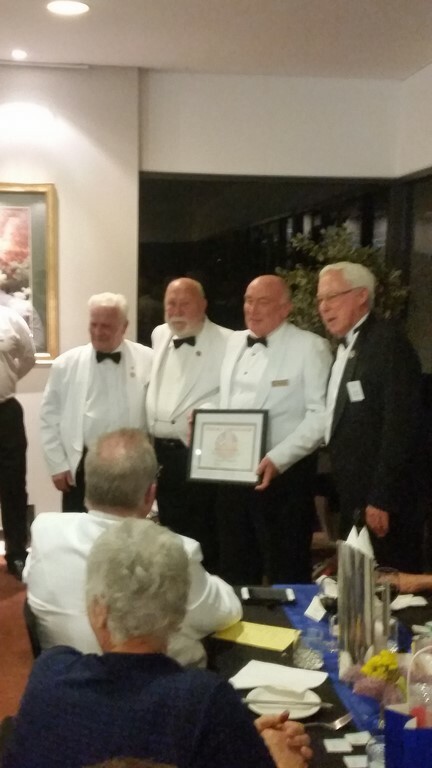 We are all looking forward to the trip next year with any other Brethren who would be most welcome.